Dialog telecom introducing new package for their customers the name, "Dialog ULTRA 99 Package". 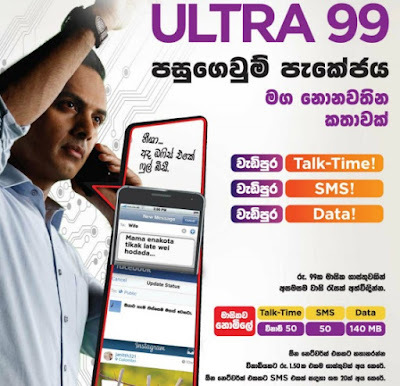 Dialog ULTRA 99 package hope to facilitate all your mobile needs in one value pack. Now you can get extra talk time, extra SMS and extra data using this new Dialog package. Enjoy the bundle of ULTRA benefits at a monthly rental of just Rs 99.00 only.